A group is to be formed to promote digital technology in teaching and learning in Wales. Education Minister Leighton Andrews says the National Digital Learning Council, to include teachers and other professionals, will start in September. 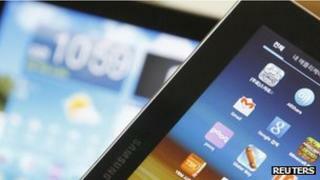 It follows a review of how teachers and pupils use digital technology. There will be a new "learning platform" called Hwb and National Digital Collection, and the use of education resource iTunes U will be encouraged. A review ordered by the Welsh government earlier this year said a major new digital learning system should be created in classrooms, making the use of hand-held devices and cloud-computing the norm. In response, Mr Andrews has announced a series of measures, adding: "It's not unreasonable for learners, parents and teachers to expect that the technology they use in their daily life can also be used in education. "I have said before that schools need to learn and share the best ideas. "They also need to have access to appropriate technology and have the skills to use digital technology to make the most out of it. "The web provides a tremendous learning resource for children and young people. "We need to help learners develop the skills, confidence and maturity to navigate safely around this new world and make good use of the opportunities it provides." The National Digital Learning Council "to provide expert guidance on the use of digital technology in teaching and learning in Wales"
A bilingual learning platform - provisionally called Hwb - for learners and teachers to "share resources, knowledge and experience"
A National Digital Collection - a "repository for thousands of curriculum and good practice resources for teachers and learners to upload"
On Friday, Mr Andrews will visit one of Swansea University's "techno camps," which are designed to encourage school children to learn about computing and robotics.